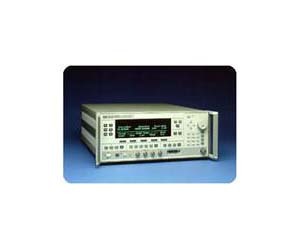 The Agilent 83640B synthesized sweeper is the standard of excellence for applications requiring the high performance and accuracy of a synthesized source and the speed and versatility of a sweep oscillator. Synthesized broadband frequency coverage and precise 1 Hz frequency resolution (Opt 008) are generated by indirect synthesis, enabling the Agilent 83640B to achieve low single-sideband phase noise performance. It also delivers excellent harmonic performance with harmonics at least 50 dB below the carrier from 2.0 to 26.5 GHz, and at least 40 dB below the carrier above 26.5 GHz.